Avoid whiplash by driving safely with your eyes on the road. NEVER text and drive. Whiplash is a common injury following automobile accidents. Notable symptoms include neck pain, headaches, tightness, and decreased range of motion. It is always easier to avoid a car crash than recuperate from one. Stay focused on the road and get rid of distractions so that you are driving safely. Starve – Not really. Just don’t eat while you’re driving. If you’re on a long trip, it is safest to eat inside a restaurant stop or after pulling over to the side of the road. 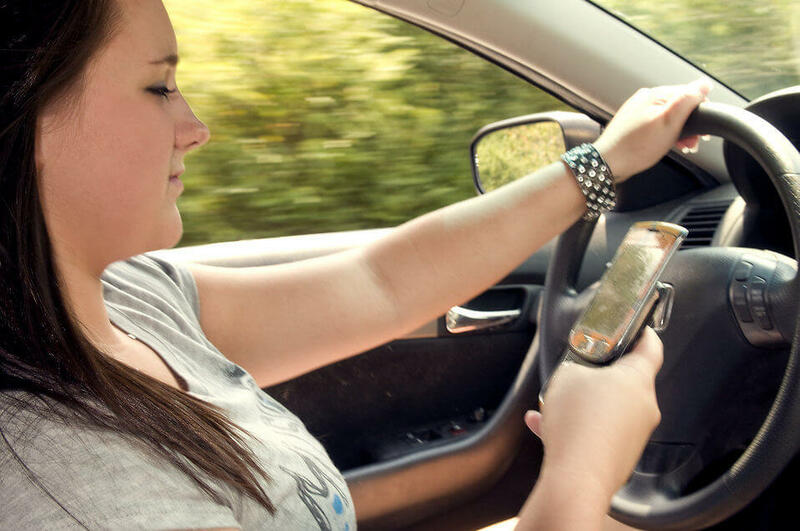 Do Not Disturb – If you can’t hear or see the text message you just received, you’re 100% less likely to check it, which is a 100% chance to bring the 2300% increased crash risk down to 0%. Silence that phone. Better yet, put it in the backseat out of reach so you can’t give into temptation. Don’t Be a Lousy Copilot – There’s an old warsong my grandfather used to sing that begins with, “I’m a lousy copilot, I sit on the right.” Don’t just sit on the right. Help your driver stay focused and all “whiplash” will be to you is a great song by Metallica. I understand, sometimes crashes happen that aren’t your fault—you can blame the people who didn’t listen to my tips. Fortunately, whiplash is simple enough to treat. Cool Off – Icing your neck for 15 minutes, 2-3 times a day, 3-4 hours apart will alleviate pain, swelling, and your air conditioning bill in the upcoming summer days. Be Supportive of Yourself – Neck braces or collars won’t have any effects on self-esteem, but they’ll keep your neck in place so you can’t injure it further. Only use one if your doctor recommends it, though, as using it for too long can actually weaken your neck muscles. Everyone’s Least-Favorite Word – Apply moist heat, like with a warm moist towel or by taking a warm bath, if the swelling has gone after 2-3 days. Don’t apply heat, even moist heat, to muscles that are still swollen. Get a Massage – Hey! Starkwood Chiropractic does those. Give us a call today!